Toro is a real dog's dog. He loves to run and jump and sniff and swim and fetch and do all of the wonderful things dogs do. If you are looking to get the most out of all the things Austin has to offer, Toro would be an excellent wing man. Toro gets along well with most of the other dogs in playgroup and is friendly with new people. He's house-trained, knows sit and is very attentive to everything happening around him. He gives that classic inquisitive head tilt to let you know he is really paying attention. He can be a bit amped when he is first let out of his kennel, because as you can imagine, he doesn't care to be cooped up. Once he gets some time to stretch his legs, he settles into a more medium pace. And he's got a sensitive side and isn't above leaning into you for some pets and loving. The ideal home for Toro would be one with a yard he could chase down lizards in and perhaps another well-matched canine companion to pal around with. Toro has been thriving in APA! 's Total Obedience Program and recently became TOP Dog Ready, which means he has already learned all the skills in his customized training plan. The Total Obedience Program (TOP) is modeled after the AKC's Canine Good Citizen (CGC) test. As a TOP Dog, Toro works with a volunteer trainer several times a week to help him become the best dog he can be! Dogs in the program learn skills including sit and down, walking nicely on leash, sitting calmly when approached by strangers, calmly walking past another dog, staying in a sit or down until told "free," coming when called and "Place", which means he will go to a specific place in your home on command. Toro is for the true dog people out there. Those who appreciate man's best friend in their full water-splashing, stick-fetching, squirrel-chasing glory. If that's you, you should definitely meet him! 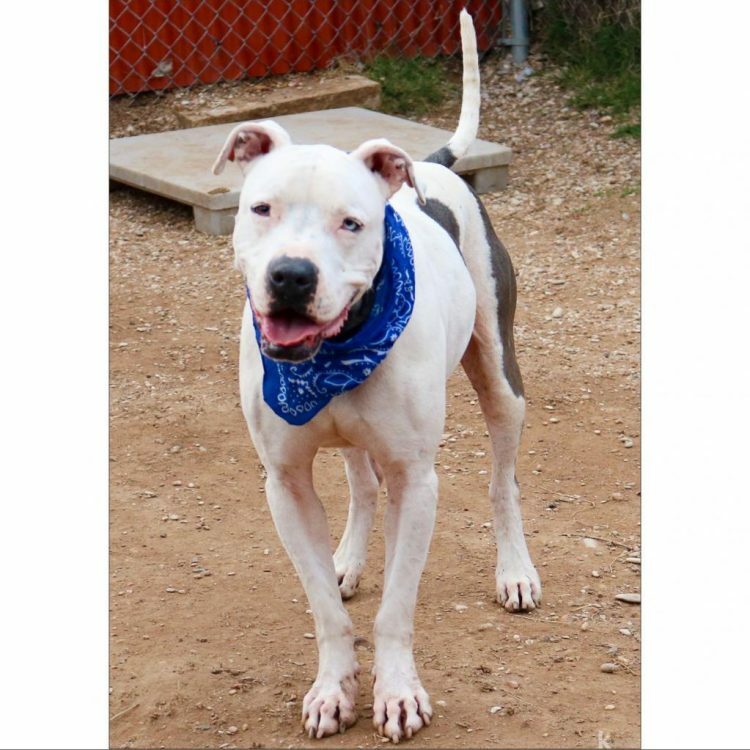 I saw Toro (https://www.austinpetsalive.org/adopt/dogs/apa-a-60553) on the Austin Pets Alive! website and would like to request more information.